Timberlake Cabinet Reviews 2019 - 3 Tiers of Furniture Quality! Last Updated March 27th 2019: Timberlake Cabinetry are a division of American Woodmark Corporation, the 3rd largest cabinet maker in North America. Founded in 1990 they are one of the cheapest cabinet makers, catering to those with a small budget. 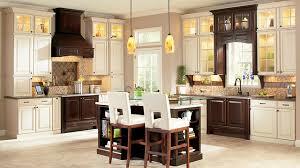 Their motto is “on time and complete cabinetry” and it sums up what they do. They create semi custom units which are suitable for homeowners across the country, operating out of numerous retailers. In our Timberlake cabinet reviews guide you will find out how they have taken many homes by storm! Timberlake oversee all of their production within the United States, choosing not to outsource to Asia. While the company is still relatively new, compared to some of the other big names, they’ve made an impact in the home storage industry and are well known. Timberlake are considered the lower budget division of American Woodmark, but offer some good quality at the same time. 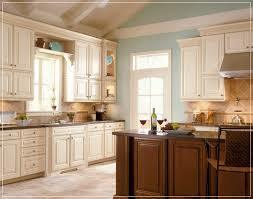 Timberlake cabinetry is about quality and durability. They aren’t the most innovative brand but can certainly bring some value to your home. 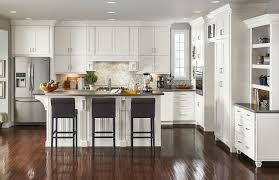 Value Built is the lowest cost Timberlake Cabinetry. They are the most economical products offered by Timberlake and while they are very cheap, it would be advisable to spend a little more for sturdier products. Timberlake Portfolio is the mid level product line. These combine low costs and reliable products, making this range the most popular. Portfolio select is Timberlake’s high end line. Unlike the other two ranges it offers hardwood doors (instead of veneer) and has thicker shelving and backboard. Portfolio select is the most durable product line but is the most expensive too. The three different ranges offer a lot of variety both in terms of design and price. Timberlake have attempted to balance fashion and function with their cabinets and have a range of different choices for the buyer. All Timberlake cabinets are available in plywood or hardwood, with the standard choices. The most popular options tend to be Maple, Oak and Cherry, but each different wood gives a unique feel, look and quality. Be sure to explore all of the options and if your budget can stretch far enough then hardwood is the way to go. On the Portfolio select range you have the option of dovetail finishing to add a level of sophistication to the doors. Timberlake also offer some alternate varieties of cabinet door, with glass options available, which are proving very popular. As well as style choices there are different material types ranging from light to dark and offering a unique look. Your cabinet doors are a big part of your kitchen and It’s important how your cabinet looks so take the time to explore all of Timberlake’s options before settling on the cabinet doors. Once you’ve settled on design, you’ll need to look at the finishes on offer. Timberlake specialise in combining specific finishes with wood types and styles so you’ll end up with the most fashionable piece. With all Timberlake Cabinets the choices are much more varied with the higher end lines but the Value Built line has fewer options available. The Value Built ranges are painted veneer rather than hardwood so you’ll have more limited options. If you are looking for more premium options in finishes in colors then I suggest you take a peak at our Diamond cabinet reviews, as they offer a large amount of styles and materials. There are some additional extras available for Timberlake cabinets, but again these are for the Portfolio and Portfolio Select ranges. Talk to your retailer about what you can and can’t customise on your cabinet, it’s always worth upgrading what you can! As every unit is custom built there are options to alter the cabinets to fit your home, explore the options with your retailer before purchase. Timberlake cabinets are built to order, each individual unit is built as they come in so making specific alterations isn’t an issue. If you have any specific requirements or want a completely custom made cabinet then you’ll be able to request it at an additional cost. Timberlake Cabinets are also built to last, using reliable technology and the latest techniques to make a unit that lasts. Durable components with tufftech technology that will last despite daily use. The beautyguard finish makes the units a lot more durable to wear and tear and makes them a lot easier to clean. American Woodmark high standards are imposed on all the divisions within the company. They have quality controls in place to check every unit before it is rolled out and ensure that the high quality reaches each buyer. Timberlake’s own rigorous quality checks begin with the wood selection. They believe in sourcing locally and over 95% of their wood used is American certified hardwood. Timberlake is an all American company, keeping all production within the states and overseeing every stage of manufacturing. 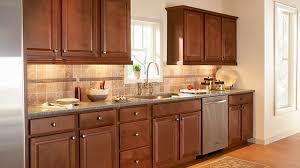 They aren’t the oldest company around but they have proved themselves to be a solid option in kitchen cabinetry. The association with American Woodmark Corporation proves their high standards and can let you buy with confidence. Timberlake base their warranty on the predicted lifespan of each unit. The Portfolio and Portfolio Select ranges have a 5 year warranty which covers all of the workmanship and materials. The Value Built range has a 2 year warranty covering the same. While this isn’t the best warranty on the market it’s still competitive in the low-mid range cabinet market. Common criticisms of the units are about the quality and lack of durability. Overall there are some positive reviews of Timberlake, but it’s very much that you get what you pay for. Timberlake isn’t a high end provider so you’ll be setting out for disappointment if you expect the world. The best thing to do is upgrade everything as your budget allows, because the better materials are a lot more durable. The Portfolio and Portfolio Select lines offer a much better selection of finishes and materials and you’ll see better results with those lines. Always be vigilant when units are fitted to ensure you pick up any errors or problems early. 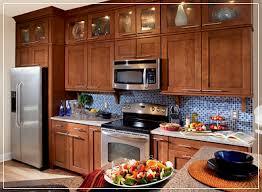 Timberlake Cabinets are very much the low end of the American Woodmark Corporation cabinet producers. They’re making budget kitchen storage solutions and not high end custom cabinets. 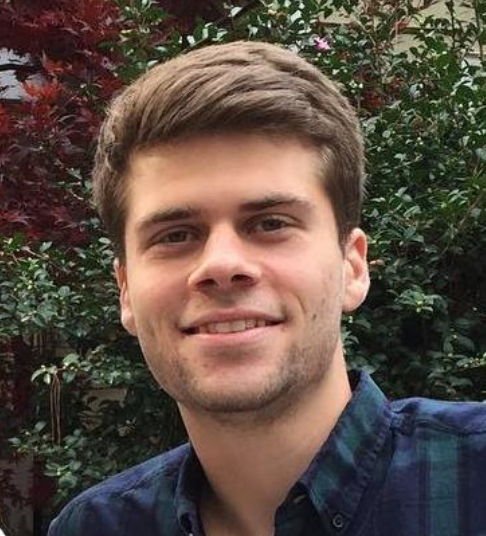 The Value Built line seems to have given a lot of users some issues so It would be best to avoid it wherever possible and instead opt for a Portfolio line. Timberlake can offer some great value to the home and have proved very popular with builders and realtors. The prices are very competitive compared to similar cabinet makers and with the right choice of materials, finishes and extras you can end up with a pretty impressive cabinet. Just tread carefully, take the time to find all the right options for you and don’t expect the cabinet to last a lifetime. 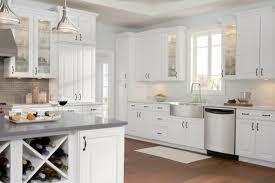 For those with a limited budget Timberlake are offering practical and stylish kitchen cabinets for your home. If you are interested in other affordable cabinetry brands I suggest you take a look at Hampton Bay, and Merillat cabinets.